Sagging skin or tissue laxity is mostly the result of structural weakening in the skin’s foundation (SMAS/Platysma) at ~4.5mm deep. Ultherapy® is the only non-invasive technology that treats 3 discrete depth (1.5mm, 3mm and 4.5mm), targeting both the dermis and the foundational tissue layers where laxity begins. Just as you were to receive an ultrasound, we will use Ultherapy’s ultrasound imaging to first see deep within the skin to determine the optimal placement of the treatment energy, then deliver the focused ultrasound energy to beneath your skin surface. Both men and women can be good candidates for Ultherapy®, but it still requires a qualified and experienced cosmetic surgeon and team to advise the most suitable procedure(s) to treat your condition. Schedule consultation online or call Peaches and Cream Med Spa today to schedule your appointment. Is Ultherapy® painful? How does the treatment feel like? All non-invasive aesthetic procedures are not typically painless but can be well tolerated due to our comfort management protocol. Topical anesthesia will be applied to the target areas 20 minutes before the procedure, along with Tylenol or Advil as necessary. You will feel the energy being deposited in the depths of your tissue, indicating that the collagen-building process has been initiated. The sensation will only occur while the ultrasound energy is being delivered. That sensation, and the amount of discomfort from the Ultherapy® procedure, can vary tremendously from patient to patient. Some patients may experience only mild discomfort, while other patients might note more significant discomfort. How long is a Ultherapy® session and how many sessions will I need? 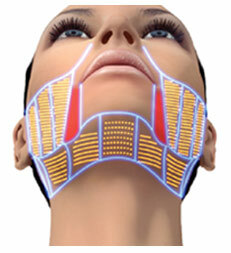 Most Ultherapy seesions last between 30 to 90 minutes, depending the areas to be treated. For most patients, with just one non-invasive Ultherapy® treatment helps counteract the effects of gravity and sun exposure without downtime. Some may require a touch up. When should I expect to see the Ultherapy® results and how long can the results last? 65 percent of patients reported to see improvements 60 to 180 days after treatment. 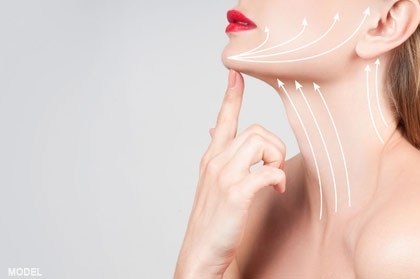 In terms of skin tightening and lifting, the longevity of Ultherapy® results may last up to at least two years, depending on the degree of skin laxity and lifting needed prior to the procedure. A touch-up or maintenance treatment may be required, particularly in elderly patients with extensive baseline skin laxity. Both Thermage® and Ultherapy® stimulate collagen production and are within the same price range. However, their underlying technology is different. 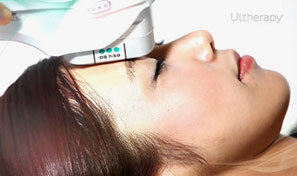 Ultherapy® uses ultrasound technology, whereas Thermage® uses radiofrequency. They can both be described as the “anti-aging iron” or the none-invasive facelift, but with different efficacies. 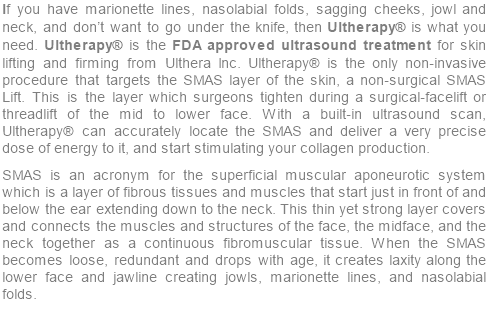 Ultherapy® ultra sound could deliver energy much deeper into your skin, to the 4.5-5mm SMAS, but not Thermage®. On the other hand, Thermage® radiofrequency could be delivered to the full face, including the upper eyelid, using Thermage® for the Eyes. In other words, Ultherapy® works better on lifting the lower face and jawline or sagging skin, whereas Thermage® works best in smoothing fine lines and wrinkles. Some energies and technologies will work better on certain individuals. An experienced cosmetic surgeon like Dr. Stewart Wang and his team at Peaches and Cream Med Spa will be able to help you determine if Ultherapy® is the best procedure for you. Schedule a consultation online or call Peaches and Cream Med Spa today to schedule your appointment..